So you want to master meringues. 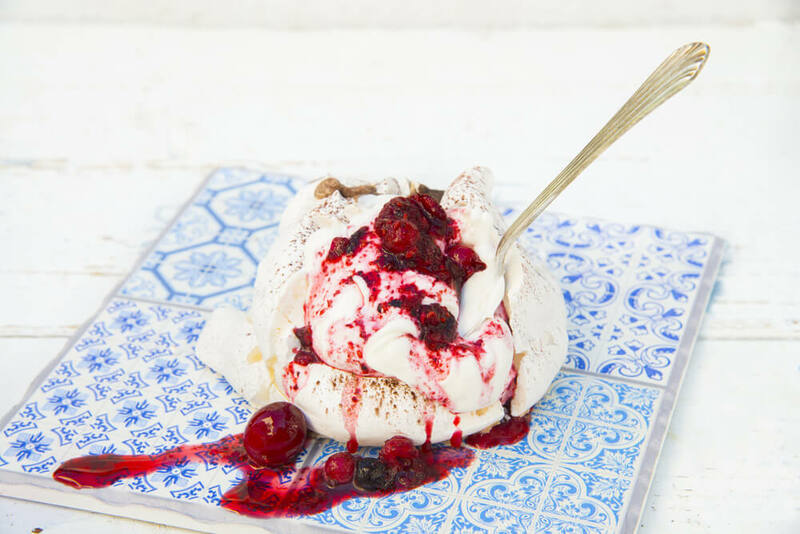 There are countless recipes which use meringues, and we will be sure to keep adding them to this page as we find them, but first of all, I want to make sure you know how to make perfect meringues every time. Meringues, in their simplest form are a type of sweet or confectionary, made up of whisked egg whites, some form of sugar and in some cases, an acid to help bind everything together. Sometimes flavoured and often coloured, they are a popular dessert on their own, as well as a key part of plenty of other recipes – macarons, meringue topping on pies, as meringue buttercream frosting and also of course as a key part of pavlova and other pastries. And with each of these recipes, the preparation technique is different because the desired outcome is different. How Do You Make Meringues? While it is technically true that it is just a case of mixing together egg whites and sugar, there is a lot more to it than that. There are three different versions of meringues, all with slightly different results – French, Italian and Swiss meringue. The French meringue recipe is the best known and most commonly made one at home. It is simply a case of whisking together egg whites with caster sugar and baking and cooling. But unsurprisingly, it is a bit more tricky than that. French meringues are typically the kind you would use for meringue shells or kisses, or to fold into cake batter to give them a lighter texture. You will need your egg whites to be completely fresh and at room temperature and you’ll need roughly 50g of sugar per egg white. 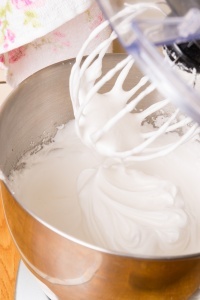 In a whisking bowl, start whisking your egg whites at a slow speed until they start to bubble and become frothy. Then whisk on a medium speed for a couple of minutes, until they start to form soft peaks. Finally whisk on high speed until they go from soft peaks to stiff peaks. Add in your sugar, about a tablespoon at a time, and whisk on high speed until fully combined until you have a glossy shine to your mixture. If you are adding any other ingredients, fold them in very gently at this stage, taking care to make sure air does not escape your whisked egg whites. Pipe your meringues onto a baking sheet and bake for 60-90 minutes. The exact time will depend on how big your meringues are – unsurprisingly if they are smaller, they will take less time! Once they are fully baked, with a crispy outer shell, switch the oven off, leave the door open and allow them to cool. If everything has gone right, you should have crisp meringues that easily peel off the parchment paper, but remain a little bit chewy inside. If you are looking for how to make meringues chewy, this is basically the key – let them cool gradually in the oven, not quickly at room temperature. The recipe for Swiss meringue is not that much more complicated than making French meringues. To make Swiss meringues, the key difference is that you whisk your eggs over a double boiler (or bain-marie if we’re getting technical) and it gives you a shinier, firmer, more stable finish. It comes out a bit like marshmallow so is perfect for using in pie toppings and frostings. Whisk together your eggs and sugar in a heatproof mixing bowl. Place your bowl on a double boiler and continue to whisk it. If you don’t have a kitchen thermometer, you’ll know it has reached the right temperature when the mixture is completely opaque and the sugar has completely dissolved. Remove from the heat and whisk on high speed – this will help cool the mixture down and start to get some air into the egg whites, making it start to foam up. Continue to whisk until it starts to form the glossy stiff peaks that you’re after. This mixture will be thicker, but easier to work with than the French meringue recipe. As with the French meringue, baking time will depend on how big your meringues are, what you’re using them for and how chewy you want them, but the gist is roughly the same. But I don’t think I have ever made Swiss meringue to serve as a meringue on it’s own – always as a pie topping or in buttercream. To be honest I have never tried to make Italian meringue before because it requires you to be so much more precise with the method. The ingredients and ratios for this one are the same as for Swiss and French meringue, but the Italian meringue recipe is more complicated. While I have never tried it before, I have been reliably told that because of the way it is made, it keeps air much better and so is absolutely perfect for piping and decorating – so arty looking lemon meringue pies or baked Alaska would lend themselves to Italian meringue perfectly. Separately, heat your sugar with some water (roughly half the amount by weight of sugar, so if you’re using 150g sugar, go with 75g water weighed out – use grams rather than ml for precision). Eventually it will form a syrup, and you’ll need to allow this warm up to 115°C (240°F) – and use a candy thermometer to check the temperature. Continue to whisk your egg whites on medium speed, and gradually add in your sugar syrup. Switch to high speed and whisk until you reach the desired thickness. Because of the treatment of the sugar beforehand, Italian meringue forms a mixture that is easier to pipe, decorate and work with without losing too much air. We’ve covered off each meringue recipe, but there are a few other things you probably want to know about looking after your meringues once you’ve gotten through the tricky task of making them! Can You Eat Meringues Raw? A lot of people do say that eating raw eggs is dangerous and can lead to salmonella so in that sense, yes it can be dangerous. I’ll be honest though – and just a small warning that this statement isn’t backed up by science or anything and completely anecdotal – but the amount of raw cake batter or raw cookie dough with eggs in it that I have eaten in my life up to now (and that is A LOT!) has never made me ill up to now. So I am a little bit sceptical, and will just say that if you prefer to avoid raw eggs then of course don’t try the mixture until it is fully baked! How Do You Store Meringues? To keep your meringues as fresh as possible, do not store them in the fridge. They will typically attract moisture and go from delicious crispness to soggy soft sadness. The best way to store them is to dust the bottom of an airtight tupperware container with cornflour (cornstarch), place a sheet of kitchen roll over it and keep your meringues in that at room temperature. They will not be subject to extreme temperatures and the cornstarch will absorb any moisture that sneaks its way into the box. How Long Do Meringues Keep For? I can’t really answer this one off of my own personal experience. I have never had meringues hanging around for more than a week to be honest. Some people say they can last for up to 2 weeks at room temperature and some say you can freeze them and they last for months. Personally I wouldn’t be keen on trying to store them in the freezer but if any of you try it, please let me know how you get on! You’ve basically got 2 options for how to make meringue chewy here, depending on what you are attempting to make. 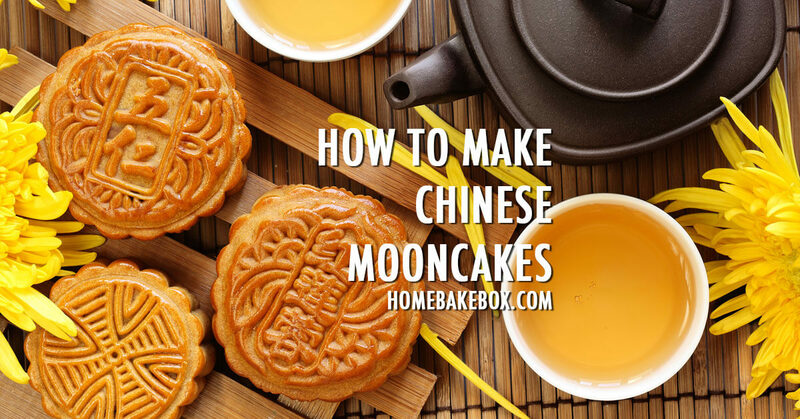 The first is to add another ingredient – either a little bit of cornflour so the mixture picks up a bit of moisture, or some ground nuts – which is what you would do when making macarons. The extra fats or oils make the meringues chewy. The other option is to bake them at a higher temperature and cool them quicker so that the centre doesn’t dry out. Time and temperature do depend on the size of your meringues, but I find 120°C (250°F) to 130°C (265°F) works best. Technically I shouldn’t be telling you these until I know you’ve mastered the basics but I’m a nice guy so why not! Some people have managed to make meringues entirely from egg white powder (no need for fresh eggs at all) but I am personally not a fan. Getting the texture and consistency right is much tougher – plus you end up explicitly adding water to a recipe which you would otherwise spend the rest of your time trying to keep all moisture away from. It usually doesn’t end well! What you can use egg white powder for though it to help stiffen and thicken your mixture. I will normally whisk in a 1/2 teaspoon per each egg white at the same time as I am adding my sugar. 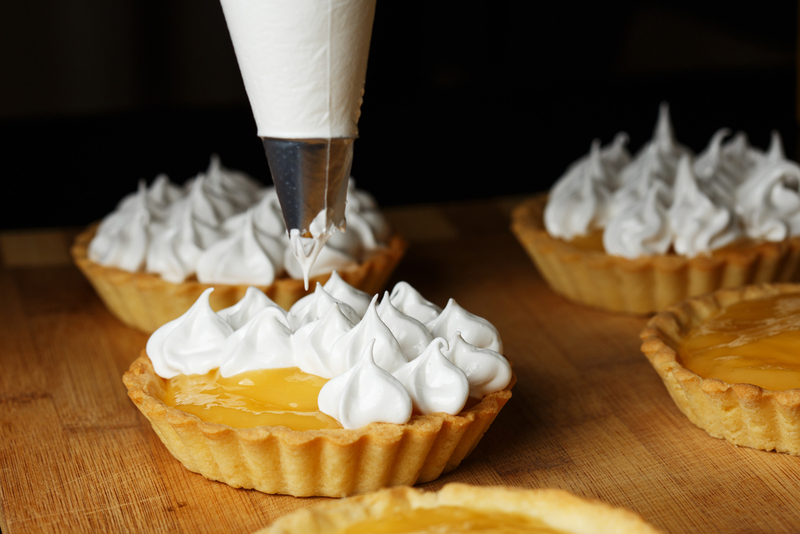 Adding some cream of tartar or some other form of acid, such as lemon juice or vinegar are also known to help the stability of your meringues. I haven’t tried this one personally myself before, but the chef who suggested it to me said this is his key to crisp outer meringue shells and making the meringues chewy on the inside! 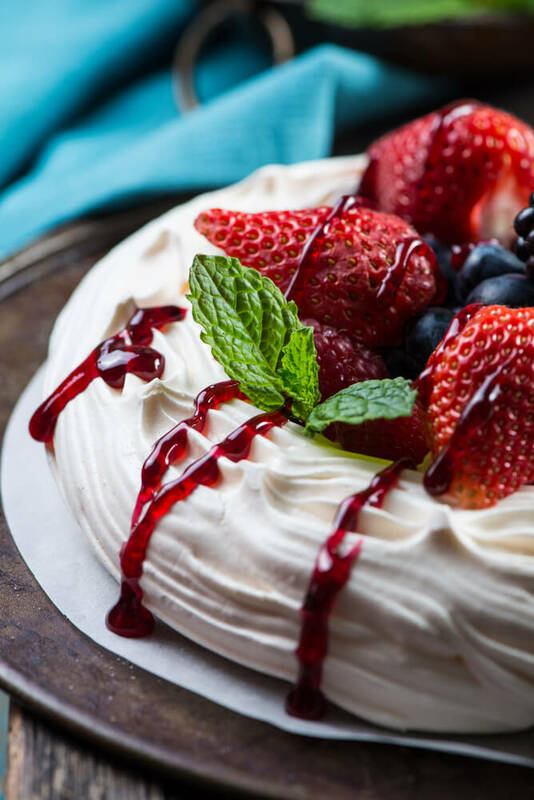 Especially if you are using your meringues in a recipe that is to be stored in the fridge, adding a little bit of gelatine can be a great way to stop it from losing its structure. 1/2 tsp for every two egg whites is what usually works for me, and you would add it in to the recipe around the same time you would add your sugar. So you’ve read plenty about making meringues up to now, but one of the most common things you hear is the term “meringue buttercream” which to be honest, I never made consistently before. When normal buttercream and sugar paste and ganache can work so well, why go through the extra hassle of trying to make a meringue version. Having said that, I have put together the best meringue buttercream recipes I could come up with – these are all tried and tested so they should work for you too! 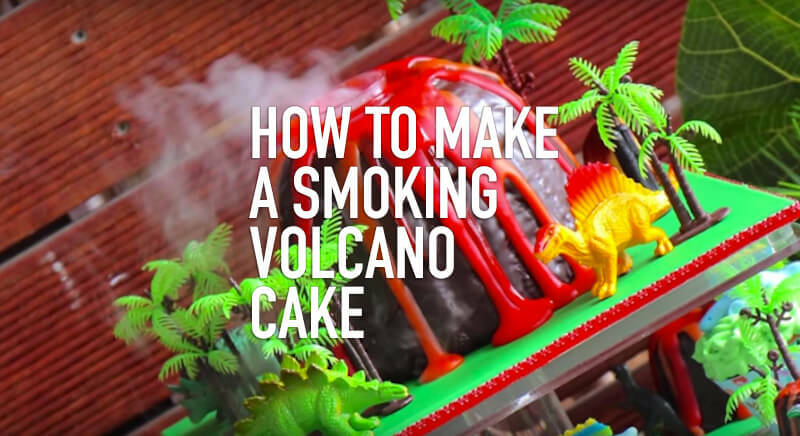 This is a Duff Goldman (aka the Ace of Cakes) recipe, and provides you with enough buttercream to ice a two tier cake. If you want to scale it down a bit, by all means feel free to do so. Switch your mixer back to medium speed, and gradually add your butter a little bit at a time. When you first add it, the mixture will start to look a little bit weird but keep going as this is what you want. 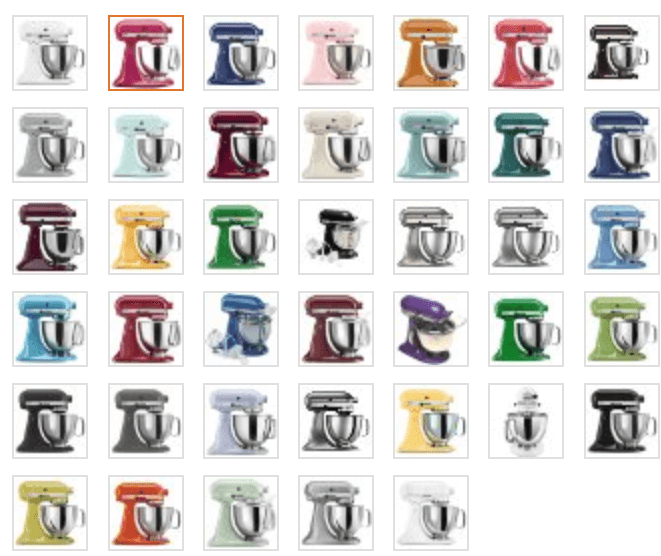 Once it is full combined, you will have a thick, creamy buttercream mixture you can use to frost cakes. Again, bear in mind that this recipe does basically have raw eggs so the same disclaimer as above about whether or not you should consume raw eggs still applies here. The benefit of Swiss meringue buttercream frosting is, especially for those of you concerned about raw eggs, that the eggs do get heated during the process so should be completely food safe. The recipe is very similar to Swiss meringue and not particularly different to French meringue buttercream either, apart from the egg heating. You get a buttercream that is creamy, a little bit dense and very stable so it can sit out at room temperature for a while! Over a double boiler, gently whisk together your egg whites, caster sugar and cream of tartar. Keep whisking until your mixture has started to thicken and is completely opaque. Reduce the mixer speed to medium, and add your softened butter a little bit at a time. If it starts to curdle, increase the speed for a little bit to get the mixture to blend fully and then reduce back to medium heat and add the rest of the butter as you were before. You now have your buttercream all set to work with. Add in your flavouring and colouring as you need to from this point. You’ve probably noticed by now that in all of these meringue buttercream recipes, the meringue is made exactly the same way as described above. And the same goes for this Italian meringue buttercream recipe. Once you have reached the stiff peak stage, reduce the heat to medium and add your butter in a little bit at a time until it is all added and the mixture comes together. And there you have it folks… Italian, Swiss and French meringue buttercream recipes! Meringues are a recipe that need you to keep your hands free – and have variable whisking speed settings, so I will always recommend having a stand mixer available in your kitchen. Things just work better with that. 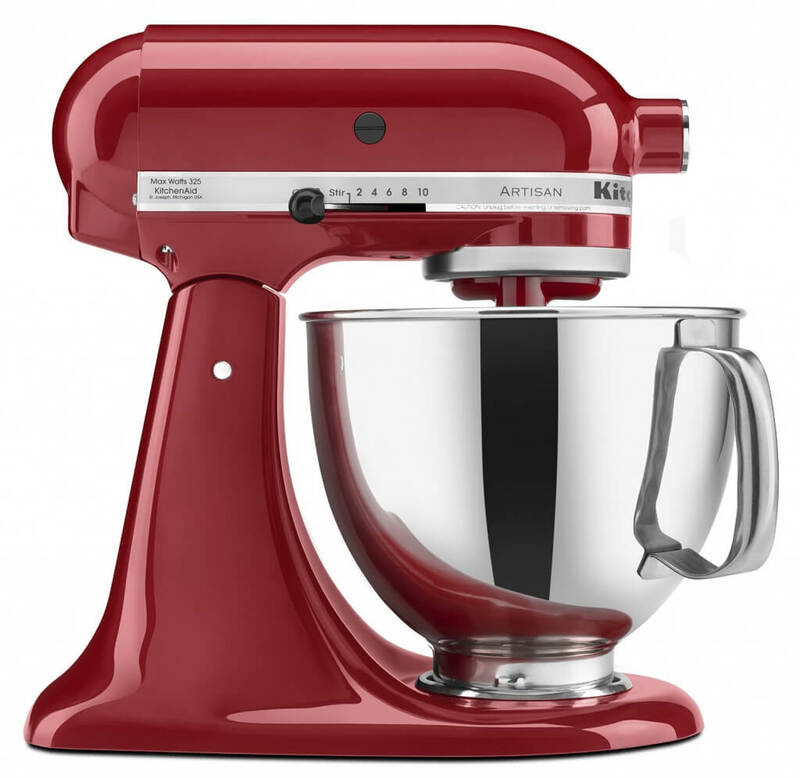 If you’re in the UK I would strongly recommend the KitchenAid K45SS Stand Mixer. 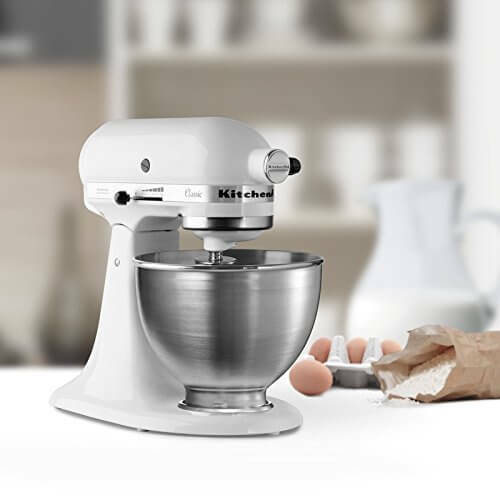 As well being from the reliable name of KitchenAid – the benchmark of stand mixers – it is substantially cheaper than most of the other good quality stand mixers out there but without losing out on quality. 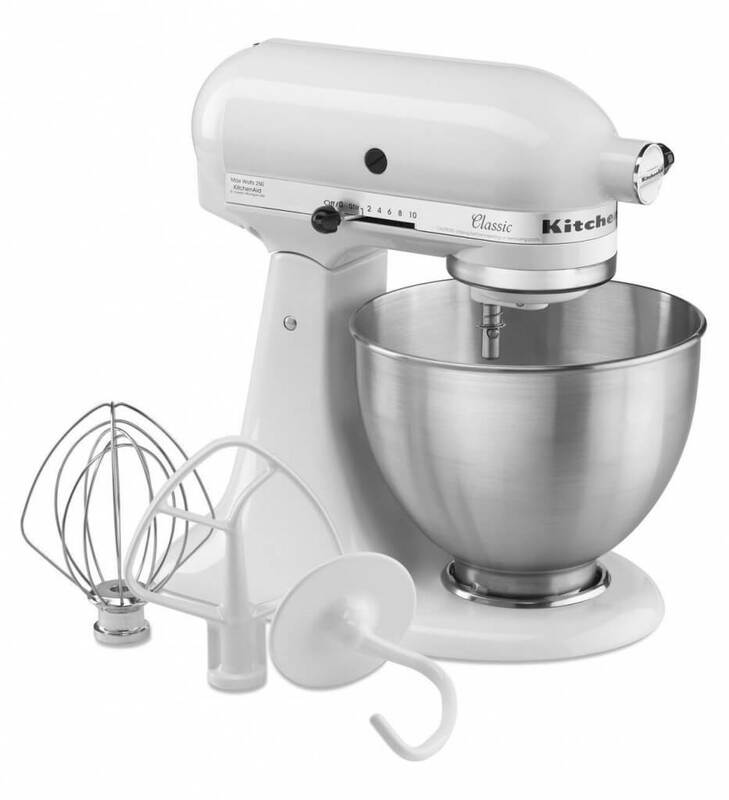 If you’re in the USA it has to be the KitchenAid KSM150PS Stand Mixer. Excellent build, great design, fantastic value for money and available in literally dozens of colours! As someone not based in the USA I am a little bit jealous to be honest. Mainly if you are planning to make Italian meringue or Italian meringue frosting, but also handy to have for the Swiss versions, a candy thermometer is a nice add on to have in the kitchen. There really isn’t much I can add about these – just get a digital one and make sure it works for candy. Both the ones I have suggested are great value for money, digital and I have either used myself or have gone with the word of someone I trust for a recommendation. There are over 3,000 words in this article. It’s taken a hell of a lot of time and effort to put it together, and if you have found it useful I would be extremely grateful if you could take a minute just to hit the share buttons below to help spread the word. 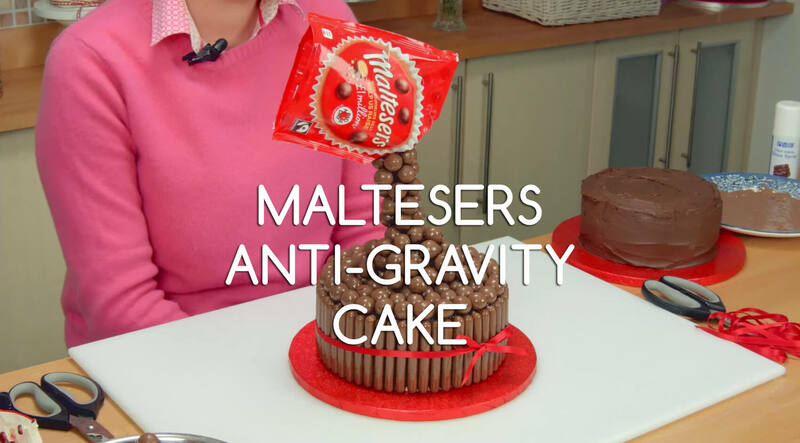 Some of your fellow bakers may find it useful too – and you’d be doing me an absolutely MASSIVE favour! 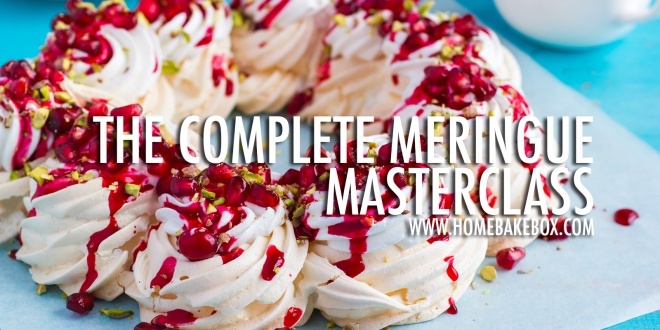 In case you are looking for more inspiration on what to do with meringues – while we build on our own current online recipe database and add some more -have a look at our Pinterest board for some great ideas. 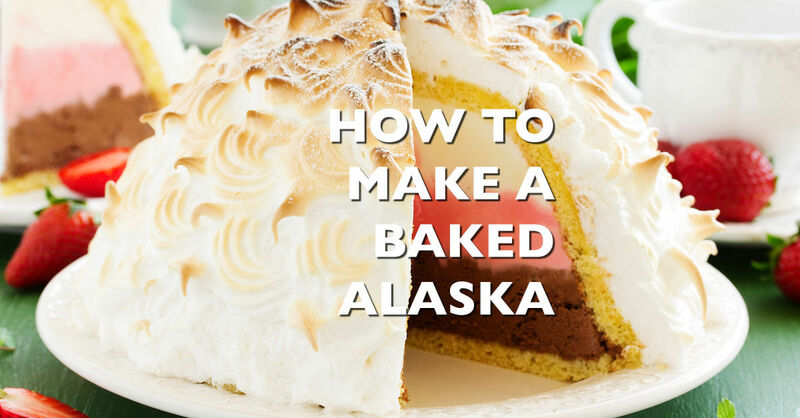 Follow Home Bake Box’s board Meringue Recipe Ideas on Pinterest. Previous 22 Brilliant Easter Baking Ideas Recipes You NEED To Try!